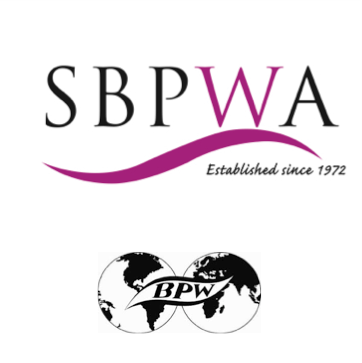 The Singapore Business and Professional Women’s Association (SBPWA) is a Singapore-based business organization that aims to develop a strong community of business and professional women by providing valuable global networks and purposeful enrichment. The first President of the SBPWA, Ms Caroline Lam, mooted the idea of an umbrella body to unite the many small women’s organisations that blossomed at the time to champion for women's rights. SBPWA has thus been recognised by the Singapore Council of Women’s Organizations (SCWO)  as a member since the 1970s. It began in 1972 when a group of established working women came together seeking support from each other, with the aim being to help women in Singapore gain better career advancement in their professional lives. With a focus on improving the skills of the female members of society, the SBPWA wanted to empower women to help them recognize their potential and the importance of their contributions to the Singapore society. How it Began, Singapore Council of Women’s Organization.